Please join us for the annual Rose Garden Neighborhood Association picnic on Sunday, May 5, 4:00 to 7:00 p.m. at the Rose Garden pavilion #2. 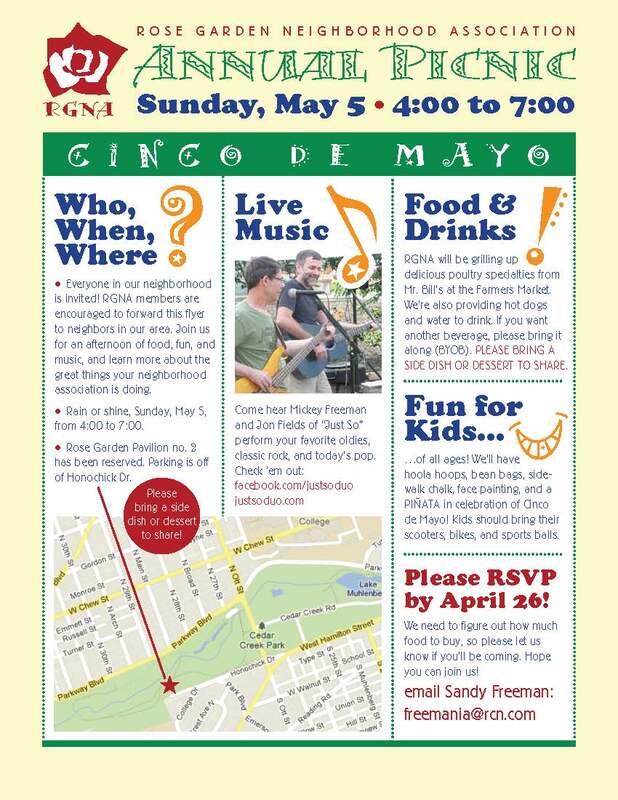 Please RSVP by April 26 with an email to Sandy Freeman: freemania@rcn.com. Hope to see you there!